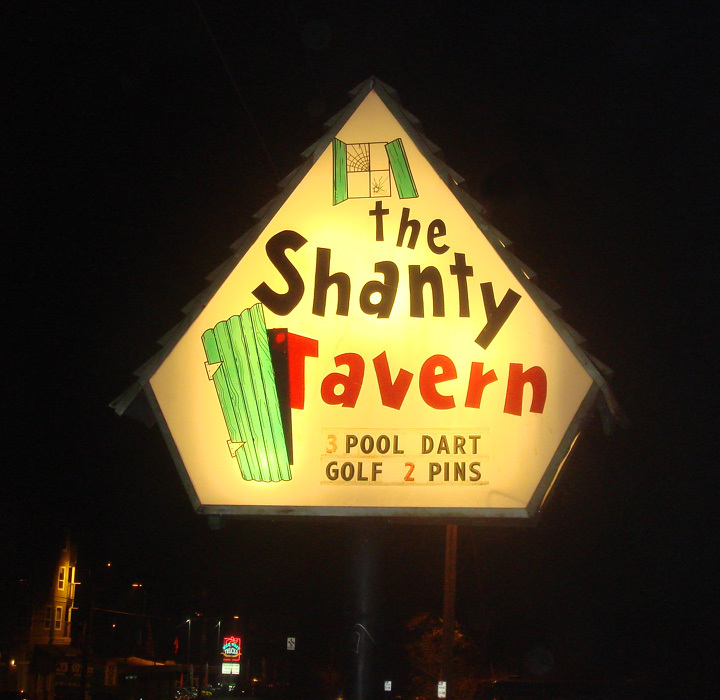 Historical Notes: The Shanty goes back to at least 1937, although it was previous located in a couple different locations up the road on Lake City Way. The 1937 listing has "Mack's Shanty" at 1937 Lake City (AKA Bothell Way AKA Victory Way), and it is listed in a few subsequent years under the name of owner Doris McLeod. In the 1941 guide, Mack's Shanty begins appearing at an 8916 address, and then shifts to the current 9002 address around 1948. In at least this last move, and perhaps the previous one, the actual building (constructed in 1932) was moved. It continues to be listed as "Mack's Shanty" into 1960. In 1961 it was purchased from the original owner by current owner John Spaccarotelli, and changed the name to just "The Shanty."